Faldir Chahbari, accomplished Muay Thai fighter and kickboxer from the Netherlands has put together a charitable foundation called Fight Against Cancer. Among Faldir’s accomplishments are: WFCA Thaiboxing World champion,K-1 MAX Netherlands 2006 finalist, ISKA European Muay Thai champion, and a WKN Muay Thai World champion. 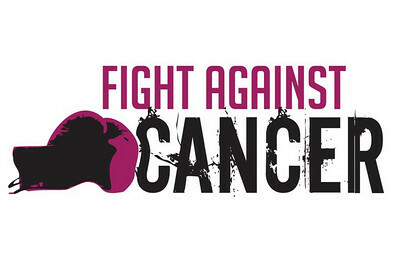 The Fight Against Cancer Foundation was founded by Faldir Chahbari to help others using tools connected with his sport he wants to give substance to his movement to help. The project which is Faldir Chahbari’s commitment to this foundation, concerns the organization of good medical care for children with cancer in his hometown of Ijarmawas, Morocco. At this time, this care barely exists. In consultation with the pediatricians in Morocco the money for the children is allocated to each child for the best treatment. For some children this may mean a treatment in a specialized center in Morocco or Europe, or for another child it could mean the medications are paid for. Faldir has on the board of his foundation two pediatricians from the AMC in Amsterdam who ensure that the medical content of the project in the right direction. To find out more about Faldir Chabari’s foundation and some of the big partners he has involved (including McDonald’s restaurants) visit the Fight Against Cancer official web site. ~ by fatsoking on January 20, 2011.